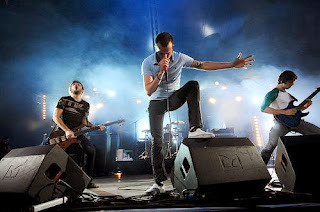 August Burns Red a Christian metalcore band from Manheim, Pennsylvania are known for their heavy breakdowns and odd-meter riffs, not so much Christmas music. It's now December and its finally time to tolerate Christmas music. This is however a little out of the ordinary when it comes to the norm, August Burns Red brings their signature riffs and heavy drums to the forefront. Its incredible how they maintain the original Christmas cheer while all together shredding the guitar and somehow making it a song that you can still head bang to. The album "Sleddin' Hill, A Holiday Album" available on iTunes, throw your family for a loop and give it a try.